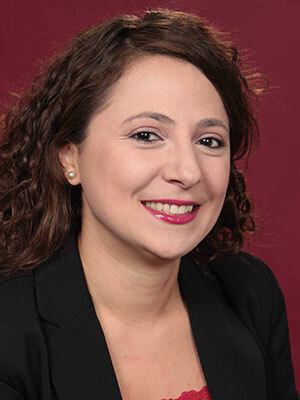 ECE Asst Professor Eirini Eleni Tsiropoulou is one of ten women at UNM selected for the 2018 Women in STEM Awards by the Advance at UNM Project for "Redefining resource AllocaTION in Advanced wireLess systEms" or "RATIONALE." “With this award, we will ‘rationalize’ the resource allocation process in cyber-physical-social systems including 5G wireless communication systems and Internet of Things infrastructures,” Tsiropoulou said. "We evangelize that it is more rewarding both from user and system perspective to aim at satisfactory Quality of Service (QoS) rather than QoS maximization," she continued. The "Advance at UNM Project" is a five-year grant funded by the National Science Foundation. Their goal is to recruit, retain and promote women and minority faculty in Science, Technology, Engineering, and Mathematics (STEM) fields. ADVANCE at UNM director Julia Fulghum said: "the winners represent some of the most promising research being done at UNM." On their website "Advance at UNM" calls themselves an "eclectic and experienced group of faculty and staff developing partnerships that will create sustainable changes in the UNM climate, contributing to increased success and satisfaction for women and minority faculty." The grants are supported by through an anonymous gift made to UNM to support research by, and professorships for, women faculty in Science, Technology, Engineering, and Mathematics. Income from investment from this gift will be used to help UNM women tenure-track and tenured assistant and associate STEM professors to establish new lines of research and to develop research collaborations. Awards range from $3,000 to $15,000. When asked about the winners of the 2018 Women in STEM awards, UNM President Garnett S. Stokes said, "These accomplished women not only represent The University of New Mexico with their outstanding research but are also role models for young girls looking to enter STEM fields – some of the fastest growing career sectors."